A security flaw found in all versions of Internet Explorer – which would give a hacker to gain full access to your computer – could pose a serious problem for those still using the operating system. AFTER TURNING OFF support for it three weeks ago, Windows XP users could be in serious trouble thanks to a security flaw in Internet Explorer. Microsoft said the web browser, the default for many users, was under threat and revealed that version six to eleven was under threat. The security flaw puts almost all Internet Explorer users at risk and could let hackers gain full user permissions over remote computers, allowing them to install programs, and view and delete data. While those with more modern version of Windows can expect a patch to fix the problem within a couple of weeks, or an out-of-cycle security update if Microsoft deems it necessary, those with Windows XP won’t. FireEye, a security company which claimed it revealed the flaw to Microsoft, said there was evidence of an active exploit targeting Internet Explorer 9 through 11 and Adobe Flash. While it’s recommended to change to a different browser such as Firefox or Chrome – both of which still support Windows XP – Microsoft recommends a number of advanced methods to help work around the problem including enabling Enhanced Protected Mode. 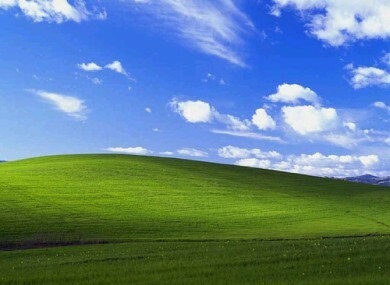 Microsoft stopped supporting Windows XP with software updates – including security patches for it and its browser – at the beginning of April. It was originally launched in 2001. Email “Three weeks after turning off support, Windows XP faces its first major problem”. Feedback on “Three weeks after turning off support, Windows XP faces its first major problem”.